Last year, a Chinese solar panel manufacturer announced it expected a panel shortage in 2017. Citing high demand in China, India, and Africa, orders were slated to exceed the manufacturers’ production capacities. Though it’s not just the western hemisphere that’s had high demand. In 2016, 1 out of 50 new jobs in the US was in solar. More than 51,000 new solar employees were hired, a majority of them in sales and installations, to keep up with the record-breaking 95% growth in the American solar industry. So why can’t manufacturers keep up? The answer is a simple economics concept, wrapped in a complex story: Global capacity hasn’t grown to meet demand. In 2007, China sought to aggressively dominate the global solar market. 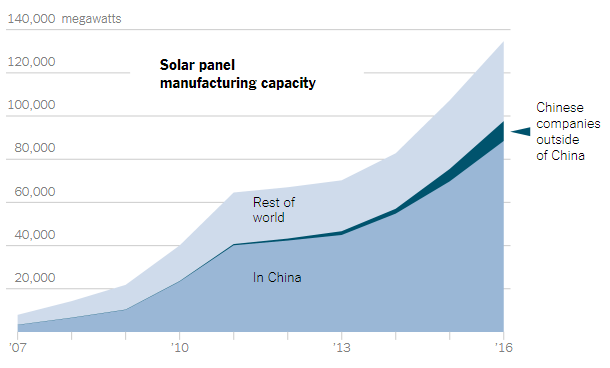 From 2007 to 2012 China’s solar panel production capacity grew more than tenfold. Currently, seven of the top ten solar panel manufacturers are in China, in contrast to zero in 2007. This extreme growth crippled many European and American solar panel manufacturers. At least twenty-four of them have filed for bankruptcy or drastically cut back operation in that time period, even in the face of rising global demand. Chinese prices were simply too low to compete with. 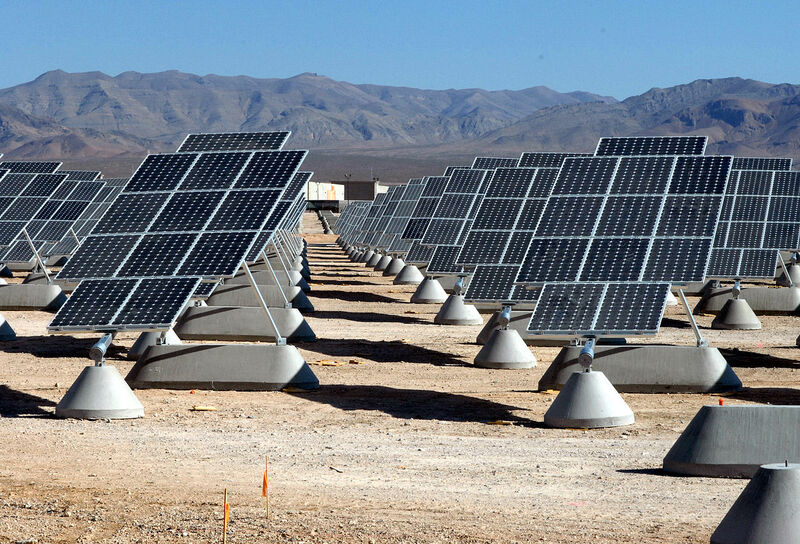 In 2012, and again in 2013, the United States and the European Union declared that China was using unfair practices to grow its global solar market share. Chinese solar-panel makers were given significant government subsidies, and at times even selling panels for less than the combined production and shipping costs. Essentially, Chinese state-owned banks gave below-market loans to finance aggressive expansion and counter the heavy losses sustained in global overexpansion. Both the US and EU placed import limits and tariffs in response. Source: GTM Research and the New York Times. China is now housing more than two-thirds of the world’s solar-production. Some Chinese manufacturers are also opting to build new factories in places like Vietnam and Malaysia, where they can circumvent US and EU limits. By undercutting the competition, Chinese manufactures have derailed global competitors while simultaneously not able to fulfill international demand; taking orders and creating frustrating queues for American clients. Already, companies are attempting to counter Chinese dominance, and pushing to satiate the increasing appeal for solar panels. Newly built factories are expected to manufacture at unprecedented quantities. Tesla’s new Gigafactory 2 in Buffalo, New York is expected to begin production of solar panels this summer. The factory is projected to be the western hemisphere’s biggest solar panel manufacturing plant. TSEC, one of Taiwan’s leading solar manufacturers, recently announced that it will build a completely automated PV module factory, with completion scheduled for the end of 2017. The Tongwei Group, one of the top Chinese solar manufacturers, is looking to build two new factories to compensate for Chinese demand, as China itself purchases fifty percent of the world’s solar panels. The two new factories will have five gigawatts of capacity each; by comparison global capacity is 139 gigawatts. caused an undesirable problem. Long wait times still plague some American solar enthusiasts. 2017 may have experienced a severe solar panel shortage, but as manufacturers dramatically increase capacity to anticipate demand, and as companies work to better compete with Chinese producers, look for America’s panel shortage to ease. If you need solar design and engineering services, contact us here or email us at info@greenthinkenergy.com.